A couple of years ago, when being a Tom Burke fan meant large group gatherings, insane banter and much merriment, a charity tea party was held. It was great fun, themed around Alice in Wonderland and a Mad Hatter's tea party. Lots of people rolled up their sleeves and played their part in making it a fun and successful afternoon. I was lucky enough to win a gorgeous basket of goodies in which there was a packet of Ginger Chai Tea. Now there are plenty of Chai tea blends available, but this one is from a company in Scotland called The Wee Tea Company (it already has an extra star just for the name.) The Wee Tea Company was set up by Jamie Russell and Derek Walker as specialist tea blenders, however, they also grow their own tea in Dalreoch in Scotland. Whilst the tea plant, Camellia Sinensis might be considered to be more at home in China or India, it's actually happy growing on the Scottish hillsides. Think about it - Darjeeling is grown on the Himalayan mountains! 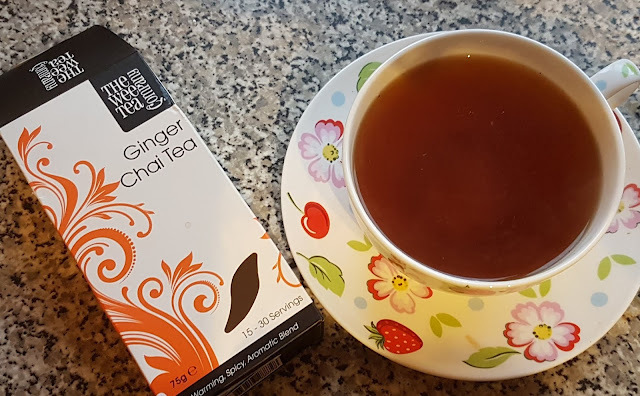 Now the tea I had was in a white box and called Ginger Chai Tea – since going onto the company website, it appears to have changed its name to Mighty Chai, although the ingredients are just the same as what I sampled. 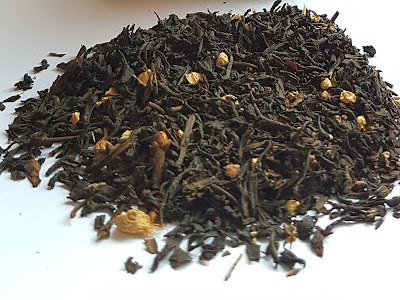 It is a strong black tea mixed with ginger, cardamom, cinnamon and cloves giving it a truly exotic scent. So sit back, close your eyes and transport yourself to the heat of the Orient as you sip this hug in a mug!